Bangkok, Thailand, January 23, 2019 – The FIVB Development Centre Thailand has made good strides in serving the entire volleyball family and remains on the right track to run development activities in 2019 for the benefit of the AVC affiliated member federations. The FIVB Development Centre in Bangkok, Thailand has been operating for almost 17 years since its inauguration in 2002 and made a significant impact on the region it has been covering. In line with the FIVB’s policy, the key role of the development centre is to monitor and further the progress of volleyball and beach volleyball in Asia aside from intensifying international cooperation in these two disciplines. In recent years, the development centre has already proved to be a well-equipped training hub for many teams and youngsters in particular, providing basic infrastructure service and learning-and-training climate to all visiting teams. In terms of hosting courses, the centre has played a vital role in improving the professional level and performances of coaches and referees as well as the technical and administrative structures of volleyball federations in Asia, especially those from neighbouring countries. 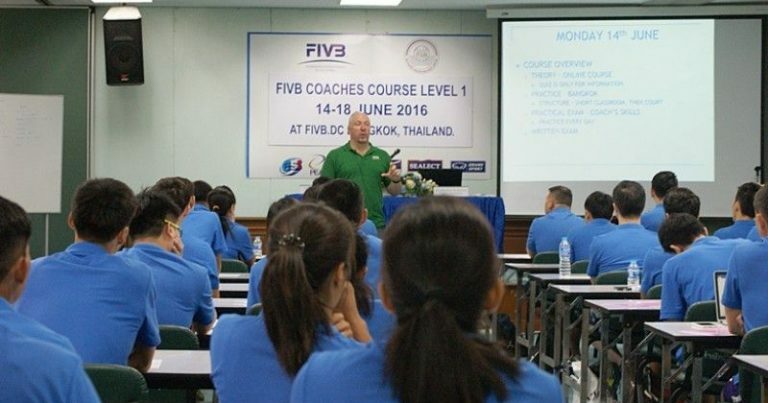 Last year, 23 Referees and Coaches Courses were held in Asia consisting of 18 FIVB Coaches Courses and 5 AVC Courses. Among the countries organising those courses, Iran held 5, all of them FIVB Coaches Courses. Thailand, Bahrain and Sri Lanka hosted three courses apiece, with Indonesia holding 2 and Lebanon, Afghanistan, Jordan, Nepal, the Philippines, Fiji and Myanmar organising one each. Sri Lanka got the 2018 Referees and Coaches Courses off the ground in March when the FIVB Coaches Course Level I was held there between March 26 to 30, followed by the FIVB Coaches Course Level II in Jordan from April 23 to 27 and the FIVB Coaches Course Level II in Iran from May 6 to 10 and the similar course in Sri Lanka during May 7 to 11. Three courses took place in Thailand, starting with the AVC International Beach Volleyball Referee Candidate Course from October 1 to 7 at the Valaya Alongkorn Rajabhat University in Pathum Thani. The next one was the Asian International Referee Candidate Course between September 5 and 11 at the FIVB Development Centre in Bangkok, with the AVC International Coaches Course Level I being held as the season-ending course in Asia from November 26 to December 2. A total of 51 candidates had attended the FIVB Coaches Course Level I at Kerman, Iran from November 18 to 22, with Mr Shihab Al Riyami from Oman theoretically and practically conducting the course, making it one of the development courses in Asia with the largest number of attendants. 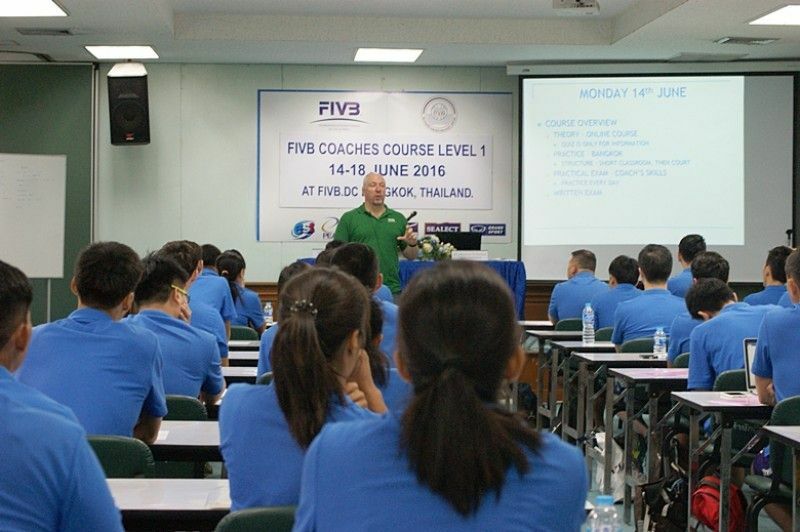 To improve the knowledge and competence of coaches and referees so that they may gain recognition as FIVB coaches and referees to officiate in major future competitions, the courses in Asia had also been conducted through the most recent trends of the modern game of volleyball, with those course attendants being able to exchange ideas and experiences. After the courses, these well-qualified coaches and referees will then return to their countries and help develop national courses and an internal method of training for improvement of skills and fitness, psychological aspects of their coaches and advanced game tactics of their teams. Apart from key countries such as Thailand, Bahrain, Iran and Indonesia where these courses had been held in 2018, the AVC had allowed their affiliated member countries to host courses including Myanmar, Nepal, Jordan and Afghanistan. More countries are expected by the AVC to host courses in the following year. 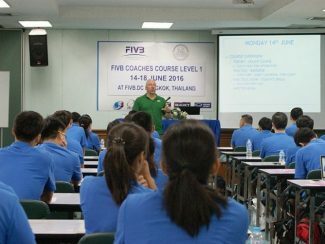 The important role of the FIVB Development Centre Thailand can be seen not only in hosting courses, but also in conducting clinics and seminars for management with other programs approved by the AVC and FIVB in terms of the informative instructions and beneficial guidance to players, coaches, referees and all other members of the volleyball family. Furthermore, the FIVB Development Centre Thailand has continually held activities in welcoming overseas teams to train intensively and undergo encampment in Thailand. “Last year, we stood good chances of welcoming a large number of 33 teams for intensive training in Thailand, while as of now, 22 teams have already requested for the same objectives at the Centre this year,” Mr Issara Riddhisinha, General Manager of the FIVB Development Centre Thailand, is quoted as saying when talking about the increasing demand of teams requesting for their training at the Centre from January to June, 2019. “As far as I’m concerned, the increasing request has come as a result of what we have tried our best to serve their demands. We provide them training courts with basic infrastructure facilities, a well-equipped office, a weighs room and a multi-purpose room. For their comforts and convenience, the gym is situated adjacent to a provided hotel where restaurants and coffee shops are available at the surrounding areas. After hard training, they can find places to eat and shop at nearby department stores. We also try our best in proving all visiting teams the possible best services,” he added. According to Mr Issara, the teams arriving in Thailand to train at the FIVB Development Centre Thailand in 2018 included university teams from the Philippines and Hong Kong, Kazakhstan national women’s beach volleyball team, Hong Kong’s Junior team, Australia youth boys’ team, Maldives national men’s team, Iran junior women’s team, All Japan High School Boys’ team, Australia national women’s team and Thongtin Lienvietpostbank women’s team from Vietnam. The Hong Kong Poly University Men’s and Women’s Volleyball Teams, the Ateneo Philippines, the UST Men’s and Women’s Teams from the Philippines are among those teams requesting for training at the FIVB Development Centre Thailand in 2019. “Despite a high demand of visiting teams, we all staff at the FIVB Development Centre Thailand are well-prepared at all times to provide them the possible best service. I hope to see more teams arrive for their training here. My staff and I will do our best to improve our service offering to all visiting teams,” Mr Issara concluded.